The Touch Dynamic Pulse POS computer has the flexibility and versatile add-ons necessary for success in a variety of installations. A small footprint and energy-efficient design makes this a great choice for restaurant ordering stations, retail checkstands, and more. Powered by an energy efficient Intel Atom processor, the Pulse is able to run fan-free, excellent for harsher environments where dust and dirt could harm other computers. The built-in 15" touchscreen uses resistive technology to make restaurant order entry easier than ever. The screen runs at 1024x768, ideal for displaying most POS software on the market. 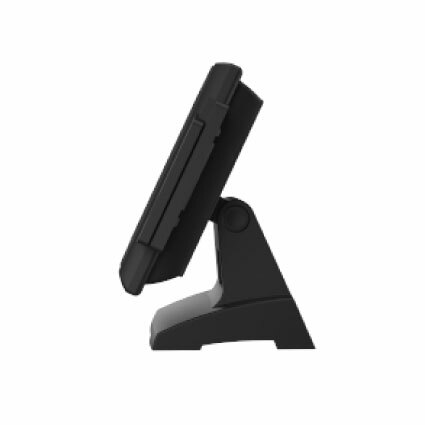 Touch Dynamic offers accessories to extend the functionality of the Pulse and also minimize space use at your business. Side-mounted magnetic card readers are available with an optional encrypted model, fantastic for easy card payment or employe access control. A rear-mounted 2 line by 20 character customer display is a great choice for retailers needing to display product prices or subtotals. 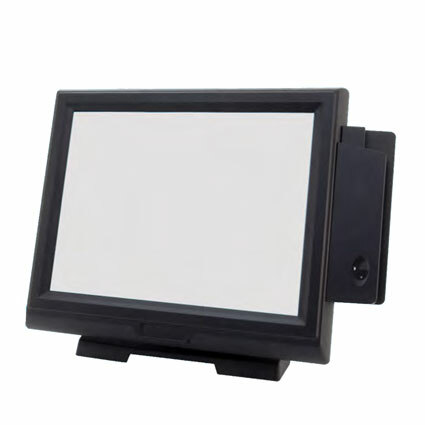 For greater customer-facing digital signage, Touch Dynamic even offers an 8" and 12" LCD display. Additional configurations available, please call for details and pricing.